FTTH (fiber to the home) networks are installed in many areas covering indoor section, outdoor section, as well as the transition in between. To fulfill the cabling requirements from different areas, different types of fiber optic cable are well developed. Drop cable as an important part of FTTH network forms the final external link between the subscriber and the feeder cable. This blog post will focus on this special outdoor fiber optic cable. Drop cables, as previously mentioned, are located on the subscriber end to connect the terminal of a distribution cable to a subscriber’s premises. They are typicality small diameter, low fiber count cables with limited unsupported span lengths, which can be installed aerially, underground or buried. As it is used in outdoor, drop cable shall have a minimum pull strength of 1335 Newtons according to the industry standard. Drop cables are available in many different types. The following part introduces three most commonly used drop cables divided according to the cable structure. Flat Type Drop Cable, also known as flat drop cable, with a flat out-looking, usually consists of a polyethylene jacket, several fibers and two dielectric strength members to give high crush resistance. Drop cable usually contains one or two fibers, however, drop cable with fiber counts up to 12 or more is also available now. The following picture shows the cross section of a flat drop cable with 2 fibers. Figure-8 Aerial Drop Cable is self-supporting cable, with the cable fixed to a steel wire, designed for easy and economical aerial installation for outdoor applications. This type of drop cable is fixed to a steel wire as showed in the following picture. Typical fiber counts of figure-8 Drop Cable are 2 to 48. Tensile load is typically 6000 Newtons. Drop Cable Connectivity Method: Splice or Connector? 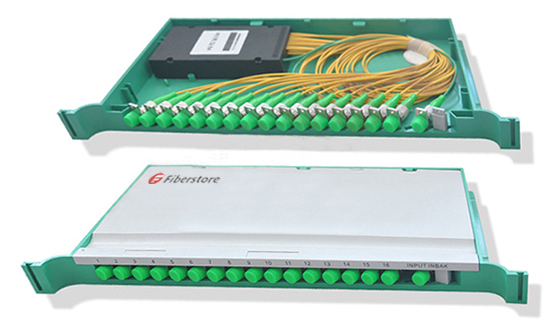 It’s necessary to choose a right architecture for FTTH network from overall. However, drop cable as the final connection from the fiber optic network to customer premises also plays an important role. Thus, finding a flexible, efficient and economical drop cable connectivity method becomes a crucial part of broadband service. Whether to use a fiber optic connector, which can be easily mated and un-mated by hand or a splice, which is a permanent joint? The following will offer the answer and the solutions for your applications. It is known that splice, which eliminates the possibility of the connection point becoming damaged or dirty with a permanent joint, has better optical performance than fiber optic connector. 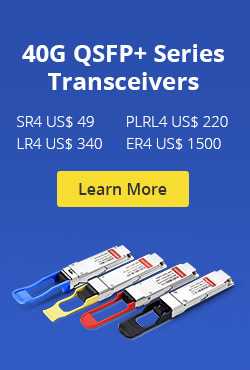 However, splice lack of operational flexibility compared with fiber optic connector. Fiber optic connector can provide an access point for networking testing which cannot be provided by splicing. Both methods have their own pros and cons. Generally, splice is recommended for drop cables in the places where no future fiber rearrangement is necessary, like a greenfield, new construction application where the service provider can easily install all of the drop cables. Fiber optic connector is appropriate for applications which flexibility is required, like ONTs which have a connector interface. For splice, there are two methods, one is fusion splicing, the other is mechanical splicing. Fusion splicers have been proved to provide a high quality splice with low insertion loss and reflection. However, the initial capital expenditures, maintenance costs and slow installation speed of fusion splicing hinder its status as the preferred solution in many cases. Mechanical splicing are widely used in FTTH drop cable installation in countries, as a mechanical splice can be finished in the field by hand using simple hand tools and cheap mechanical splicer (showed in the following picture) within 2 minutes. It’s a commonly used method in many places, like China, Japan and Korea. However, in US mechanical splicing is not popular. For fiber optic connector, there are two types connector for drop cable connection. Field terminated connector, which contains fuse-on connector and mechanical connector, and pre-terminated drop cable, which is factory terminated with connector on the end of drop cable. Fuse-on connector uses the same technology as fusion splicing to provide the high optical connection performance. However, it requires expensive equipment and highly trained technician, and more time like fusion splicing. Mechanical connector could be a replacement of fuse-on connector (showed in the following picture), if the conditions do not fit the mentioned ones. It could be a time-save and cost-save solution for drop cable termination. Customer demand for higher bandwidth will continue to drive the development of FTTH as well as its key component like drop cable. Choosing the right drop cable and drop cable termination method is as important as choosing the right network architecture in FTTH. This entry was posted in Fiber Cabling, Fiber Optic Cable and tagged aerial figure 8 cable, drop cable, fast connector, FTTH, FTTH cable, FTTH drop cable, fuse-on connector, mechanical splicer on November 13, 2015 by Alice Gui. The demand for higher data rates is continuously increasing driven by the applications like Cloud Computing, Big Data and Internet of Things. Meanwhile, the strong market competition makes the network operators to improve the network architecture and deliver high speed services. Pure fiber network should be the best solution. There is no wonder that the fiber network is the trend of the future and it is gradually extended closer to users during the transition from copper-based access networks to pure fiber networks. However, it is not favorable to connect the fiber directly to the customer premises and the cost is high in some cases, like old buildings. To find the fast and cost-effective way to deliver Gigabit speed Ethernet, copper access technology is being applied in some cases. This technology is known as G.fast. G.fast, based on the latest VDSL technology including cross talk cancellation and re-transmission, is designed for use in a ‘last-mile’ of less than 250 meters. Combining the advantages of fiber optic access technology and copper access technology, G.fast can deliver data at fiber speed to the customers using telephone copper wires. The problem with G.Fast is that its ultra-fast speeds only work over very short distances. To shorten the copper distance, FTTdp is usually applied with G.fast. “dp” here stands for “distribution point”. This solution brings the fiber optic cable out of street cabinets and moves it closer to home via the distribution point. The following network diagram shows the difference of FTTH and FTTdp using G.fast. The blue lines represent fiber optic cable, the red ones represent copper wire. It seems that there is no need for copper access in building a FTTx connection. But in practice, connecting the fiber directly to the customer premises causes some disadvantages which can be solved by G.fast. There might be many difficulties when deploying fibers to the user homes, especially some existing buildings. Sometime it is even not possible to deploy fibers to the user homes. In addition, most in-house telephone installations still rely on copper cables for most existing and newly constructed buildings because fibers are expensive and difficult to handle. There is no need to deploy fiber optic cable in building and home when delivering Gigabit Ethernet with G.fast. The fiber optic based customers premises equipment (CPE) are usually installed by technician. 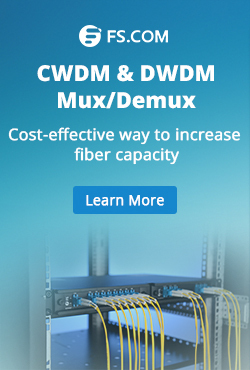 Compared with fiber optic connections, copper-based CPE installation is simple. Just connecting the CPE to the telephone plug with the delivered cable would finish the installation, which can be installed by customer. Thus, G.fast can save the cost for new users and makes the home installation much easier. Optical fibers can be broken or have transmission loses when wrapped around curves and optical fibers require more protection around the cable compared to copper. What’s more, the fault location from the CPE is not easy. It would cost more to maintain the fiber connections compared with copper connections achieved by G.fast. At first glance, G.fast is limiting the transmission from copper to fiber. Actually, G.fast accelerates the deployment of fiber optic networks. It cost a lot of time and money to process the paperwork and get permission of the subscriber before deploying the fiber optic cable. The processing is complicated. Hardware foundation is the main advantages of G.fast which eliminates the need to rewire the whole building and still allows a noteworthy uplift in access speeds. Copper is everywhere in telecommunication network. The hybrid copper/fiber approach—G.fast making full use of the telephone wires in the buildings actually makes the customers closer to optical fibers in time save and cost save manners. In this way, the transmission from copper to fiber is actually being promoted by G.fast. Weighing time, broadband speed and cost, operators figure out that applying G.fast in FTTH is an economical and time-saving way to bring Gigabit speed Ethernet to the users. To capture market share of broadband service, some network operators are considering to use G.fast. Alcatel-Lucent and communications services company BT have already started a consumer trial of G.fast technology in Gosforth (situated in North-Eastern England), for offering ultra-broadband access to consumers. This entry was posted in Copper Network, Fiber Optic Transmission, Network Solutions and tagged FTTH, FTTpd, G.fast, Gigabit Ethernet on October 16, 2015 by Alice Gui.